Even if I was interested, I wouldn't be. Lucasfilm isn’t wasting any time on casting for ‘Star Wars: The Mandalorian‘ and have just added Carl Weathers (‘Colony,’ ‘Arrested Development’) in a mystery role. Jon Favreau hasn’t been playing his cards as close to the chest as some of the major motion picture directors have been doing, but there still isn’t much in the way of actual information for the series which is slated to debut on Disney+. It isn’t clear if Weathers will have a smaller part or an ongoing major role in the series. 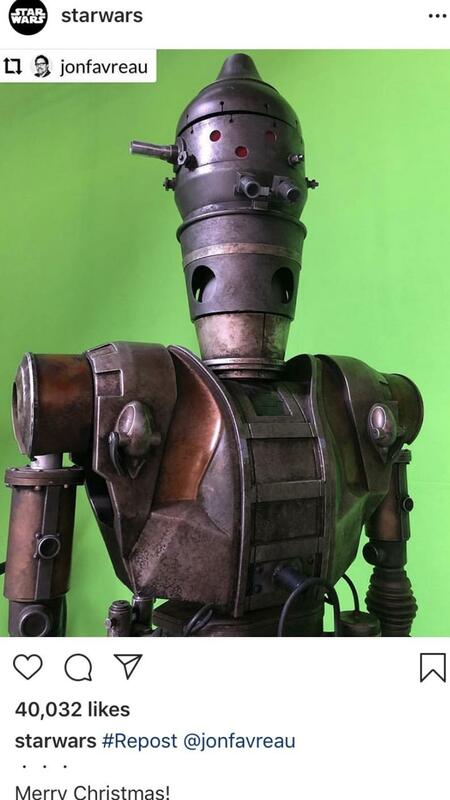 We know that there will be some great directors attached to the show such as Dave Filoni (‘Star Wars: The Clone Wars’, ‘Star Wars Rebels’) who is directing the pilot (as reported earlier), Deborah Chow (‘Jessica Jones’), Rick Famuyiwa (‘Dope’), Bryce Dallas Howard (‘Solemates’), and Taika Waititi (‘Thor: Ragnarok’). As a bonus, there is a rumor that both Howard and Waititi will be starring in the series as well! 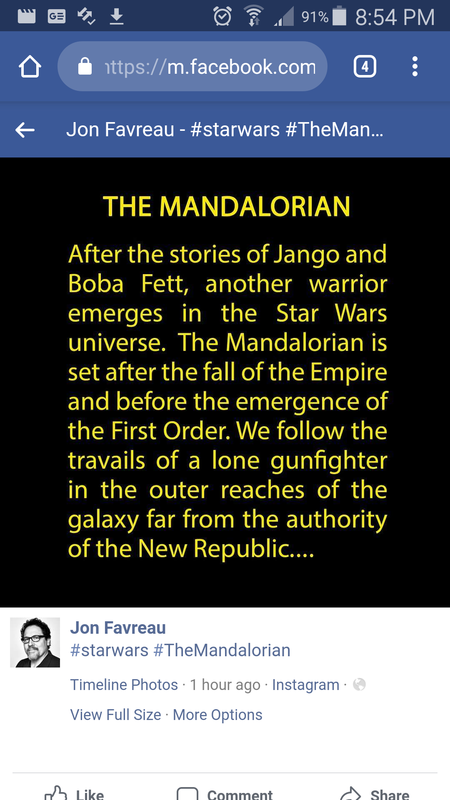 Pedro Pascal cast as lead in The Mandalorians. 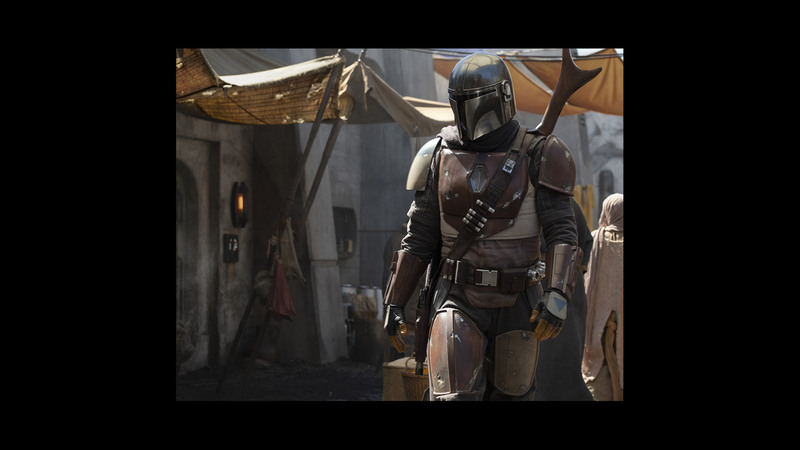 Pedro Pascal (Narcos) has been cast in the title role as a lone Mandalorian gunfighter in the outer reaches of the galaxy. He is joined by Gina Carano (Deadpool), Giancarlo Esposito (Breaking Bad), Emily Swallow (Supernatural), Carl Weathers (Predator), Omid Abtahi (American Gods), Werner Herzog(!?) (Grizzly Man), and Nick Nolte (Affliction).